8mm 0402 Certified feeders are now available and will significantly reduce missed picks & lost components saving time, money & operator aggravation. The 4mm indexing feeder is built, tuned and vigorously tested until it will repeatedly deliver 0402 components to the pick & Place. The ThinPRO Feeder has been designed to provide greater accuracy and performance for all your 0201/0402 component requirements. The ThinPRO feeder is designed to provide optimum pick efficiency, maximizing placement yields for tape fed components smaller than .040 (1mm). 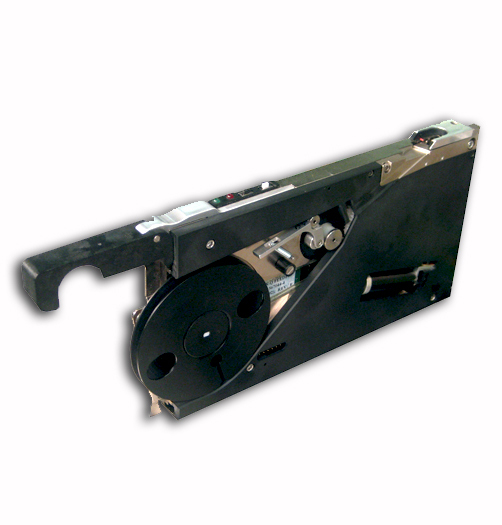 The ThinPRO feeder is totally interchangeable with previous Quad System platforms.